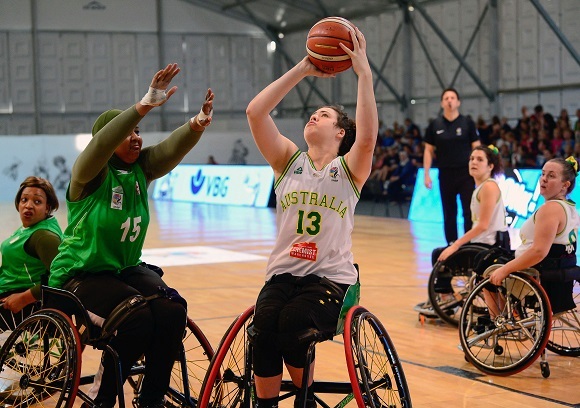 The Under-25 Australian women's wheelchair basketball team (Devils) are preparing for a full week of training and international competition against an Under-25 Japanese women's team next week in Canberra. Immediately following the Australian Development Camp at Basketball Australia's Centre of Excellence, the Devils will have a seven-game series against Japan and from that week of trainings and games, a team will be selected to travel to Thailand for the IWBF Under-25 World Championships in May. "This is a fantastic opportunity for the Devils to come together and play against a quality opponent in preparation for the World Championships," said Leigh Gooding, Head of Wheelchair Basketball. "Having a visiting international junior team come to Australia is a nice change and will be advantageous for the developing squad as well as the coaching staff led by Head Coach Stephen Charlton and his assistant coaches Dave Hegerty and Sarah Graham." With a mix of experienced and new squad members, the Devils will utilise the week to work on team structure, skill development and discovering which line-ups work best to combat the Japanese style. The team will be led by Australian Glider Annabelle Lindsay who competed at the 2018 World Championships and, despite that experience, will still be eligible for the Under-25 World Championships this May. The likes of Jess Cronje, Georgia Bishop-Cash and Isabel Martin, who are all members of the Gliders squad, will help the Devils get settled out on the hardwood.